The Henry County Chamber of Commerce provides a number of marketing opportunities for members. If you require any further information or if you are interested in pursuing any of the following Marketing Opportunities please contact us. Business Card/Brochure Display – All members of the Chamber are encouraged to supply the Chamber with business cards and/or brochures to be displayed in the Chamber office which is a great place to be picked up by visitors and business people. Free for members. Internet Exposure – As part of your membership investment, your contact information will be listed alphabetically and categorically on the Chamber’s Website (henrycounty.com), and has FREE hot links from the directory listing. For a small fee, upgrade to an Enhanced Listing and receive additional perks such as mapping, additional search keywords, and photos. More free privileges include offering Hot Deals, Discounts and Job Opportunities. Newsletter Promotion – Your contact information and a brief description will be included in the newsletter to announce your membership. Additional newsletter exposure will include ribbon cutting photos and sponsorship mentions. Offering a point of sale bonus or discount to members making purchases at participating businesses. Fostering connections between members sharing business with each other. Website Ad Space – The Chamber offers various levels of banner ads to be displayed for 6 months or annually on the Home page, Member Directory pages and more. Advertise on the website at a reasonable cost. CLICK HERE FOR RATES Ad space based on availability. Contact the Chamber for details. Submit an Event – A new feature on the website allows members to create their own event and add it to the Calendar of Events for members and the public to access. Ribbon Cutting /Ground Breakings – Want a great way to showcase your business or new product roll out? A Chamber Ribbon Cutting may be just the ticket. This is an opportunity to show the business community and your clients your business, product and services. The Chamber Ambassadors would be pleased to come to your business and assist in making your ribbon cutting, grand opening or ground breaking a special event. A photo of the occasion will be included in the Chamber’s monthly newsletter, website and social media and a video will be created for additional publicity. Business After Hours – The Business After Hours is a monthly networking event (fourth Thursday) hosted by a member to showcase their business. Each month, except November and December, members get the opportunity to visit different member businesses and network while enjoying refreshments and delectable appetizers also supplied by members. Attend these events to network with other local business professionals in a casual, social and inexpensive way! Exclusive Chamber Member Business Minute Video – The Henry County Chamber has teamed up with SCB-TV to help you promote your business online and promote your Chamber at the same time. Now that’s Synergy. Increase Your Audience: With a 60 Second Authentic Video you will be able to grab the attention of your current and future customers alike. Over and over again! Go to --> https://vimeo.com/channels/hcccbusinessminute to view just a few examples of SCB-TV’s work. The Chamber & SCB-TV Are Going To Promote You: Your video will be promoted on the Chamber's Vimeo channel, Facebook page and on SCB- TV’s website and Facebook page. Utilize and implement your own video interview with SCB TV! SCB TV will create a 60 second video for your business. Schedule a date and time with us and they’ll create the video. SCB- TV provides this benefit to Chamber members free of charge. Business After Hours Door Prize Donor – Members may promote their business by donating an item or gift certificate to be given away at each Business After Hours. Members are recognized at the event during the pulling of the door prizes. Connection Visit Goodie Bags – Chamber Connection is a fun and informal group of the Chamber's ambassadors and volunteers. The group meets once a month from 9:30 - 11:30am at various business locations. For these visits, the Chamber includes a member directory, business card and business brochures provided by members, and goodie items such as pens and coupons provided by members. Free for members. Chamber members support other Chamber members! So be proud of your Chamber membership! Place our "Proud Member" decal on your store-front window and post the badge on your website! (go to website to download). Please see our logo usage policy*. *Logo usage policy ‐ The current logo is an identifying mark of the Henry County Chamber of Commerce, approved by the board of directors. Only Chamber members in good standing may use the Chamber logo in advertising with approval of Chamber’s Director of Communications. The logo available for membership use is provided by the Chamber, and may not be redrawn, re-proportioned, modified or altered in any way. The Chamber’s Director of Communications must approve the context of logo usage prior to any ad being published. The Chamber reserves the right to revoke the privilege of using the Chamber logo at any time if it is believed to adversely affect the image of the Chamber or if the member falls out of good standing. Business After Hours & Business Boosters Luncheon Sponsorships Now Available!!! If you do not have a suitable business location or a Business After Hours is difficult to plan, why not consider a Business Boosters Luncheon? 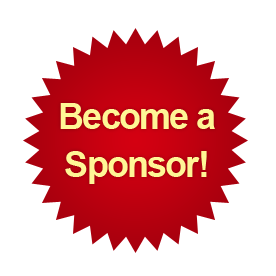 Please see the sponsorship package for more information on sponsoring a Business Boosters Luncheon and contact the Henry County Chamber of Commerce at (770) 957-5786 or email at bingram@henrycounty.com if you would like to be a sponsoring host.